The international smash hit musical comedy Hairspray the Musical is back and coming to Southsea! Get inspiration for your nuptials at the Solent Hotel's wedding open days and evenings. Psychic medium Nikki Kitt brings her evening of mediumship to the Royal Beach Hotel. Enjoy a delicious two-course dinner, then dance the night away with an Old Skool Disco. The critically acclaimed, much-loved and hard-working Thin Lizzy tribute head back out on the road. The InCrowd Soul Society presents Northern Soul Night, at Blue Lagoon, Hilsea Lido. Socialise, experiment with acrylic, get creative, and go home with your own masterpiece! Children aged 6-9 years can take part in the Groundlings Theatre's musical group for juniors. 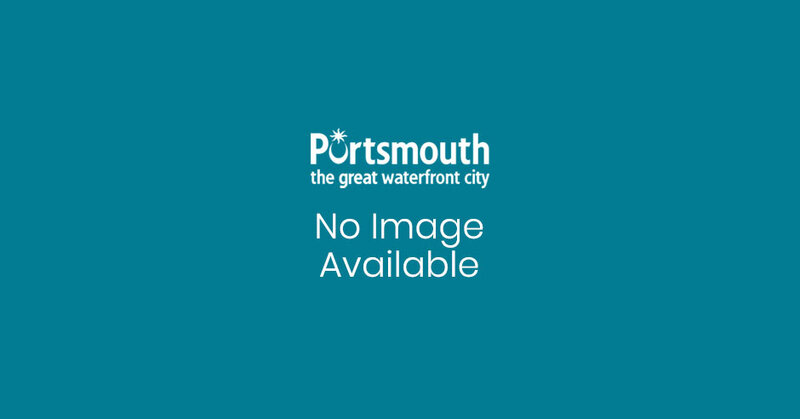 A spectacular range of events are planned every year in Portsmouth, on Southsea Seafront and in the city's museums, galleries, theatres, live venues and parks. Portsmouth is a city of festivals, with a year-round programme for every taste including music, literature, food, kites and loads more. Victorious Festival is one of the South Coast's best family music festivals with amazing headliners, whilst Portsmouth Bookfest brings national and international authors to the city each year to celebrate its strong literary heritage. The annual kite festival, meanwhile, attracts visitors not just from around Hampshire but the whole world - it being a firm favourite among Asian visitors. There's more to the event than just kites, though, with a great many stalls creating an entire marketplace on the Common. Portsmouth boasts loads of outdoor, green areas, fantastic sports facilities, brilliant watersports and much more - making it a sports lover's paradise. Why not catch a game of football at Fratton Park, home to Portsmouth F.C., or take to the streets in the UK's premier 10-mile event, the Great South Run? If you don't much fancy the crowds there are plenty of smaller sporting events in Portsmouth, from year-round 5k runs to full marathons and triathlons. Find out why Portsmouth is the perfect place for a run in our Pound the Pavements section. Do you have a forthcoming event that is big enough to attract visitors? If so then you can advertise it free of charge on VisitPortsmouth.co.uk. Click here to submit your own events. Discover some of the entrertainment on offer or the regular events in Portsmouth in our video. You can always check out some of our other popular pages by clicking the following links: Southsea, Accommodation, Hotels, Bed & Breakfasts, Self Catering, Things To Do, Attractions, Museums, Places To Eat & Drink, Restaurants, Pubs, Shopping, Nightlife, Parking & Maps. , currently showing 241 to 260. Sail around the beautiful Solent whilst enjoying live jazz music from Jacuzzi. Help clean up Eastney Beach with Southsea Beachwatch. Ghostly voices, unexplained footsteps, dark shadows passing through the corridors... this is what awaits you at Battery No.2. Learn from the professionals at Groundlings' adult drama school. Celebrate 50 years and over 125 million records sold with The Story of Neil Diamond. The Southsea Skiffle Orchestra (SSO) performs monthly at the Guildhall, playing songs from the 1920s to the 1950s. Portsmouth Guildhall will once again host the ceremony to formally elect the new Lord Mayor of Portsmouth. Fix A Date Fridays offers you the unique opportunity to meet new people offline - so that you invest less time in trying to find romance online and have more fun with it in person.